Valentine's Day Crafts for Kids - I Don't Have Time For That! Looking for some fun simple craft ideas for Valentines Day? You came to the right place! Although they may seem hard, these heart-shaped stained glass sugar cookies only require a regular cookie dough recipe, plus some Jolly Ranchers. Simple to make and yummy to smell, chocolate Play Dough is a great way to keep toddlers occupied for hours on end. With limited ingredients you more than likely already have on hand, this is easy to whip up in a pickle. 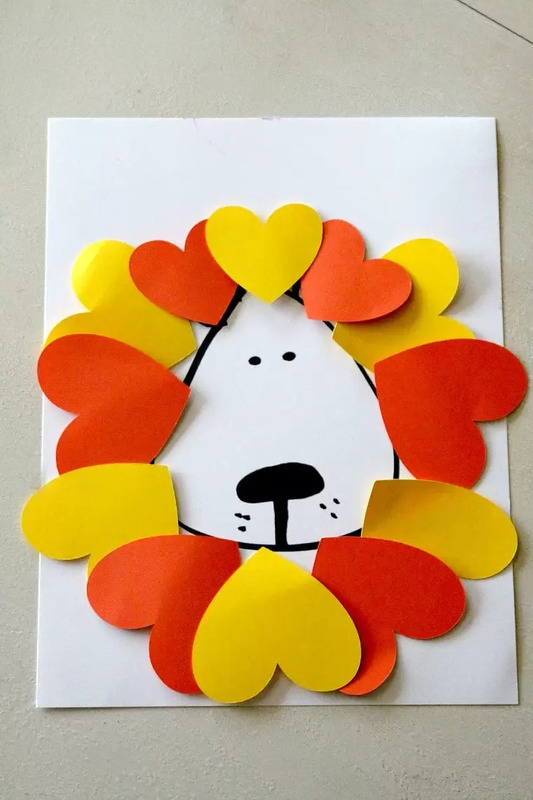 If you’re looking for a more boy-friendly Valentine’s Day activity, try this basic Heart of a Lion craft. If you’re looking for an out-of-the-ordinary but simple alternative to traditional Valentine’s, try this Hershey Kiss version, with red pipe cleaners. I love penguins, an this sweet paper heart penguin is no exception. All you need is black, white, and orange construction paper, and a pair of googly eyes! 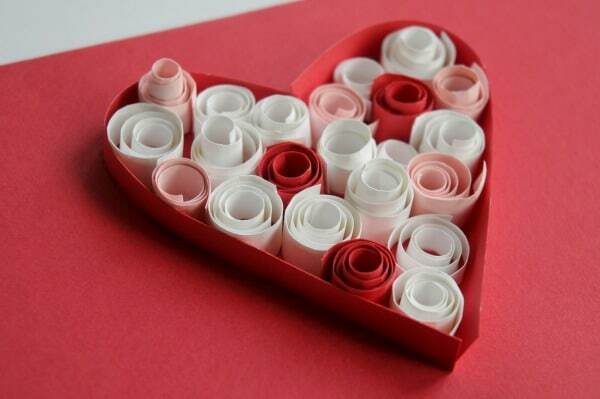 If you enjoy handmade cards, try this paper quilling card. Although this craft is basic (and doesn’t involve scissors for the curls), you can find more complicated quilling techniques on YouTube so older kids can have a nice challenge. Bee mine! Create a lovable bee out of black, yellow, and pink construction paper. Remember little feet with this salt dough footprint heart. You can keep it for household decor, or turn it into a Christmas ornament. Put some holiday tissue paper to good use with this tissue paper heart suncatcher! It is great for fine motor skills, and the project works well, regardless of little one’s cutting skills. Everyone loves a Hershey Kiss every now and then! Plus, all you need for this craft is tin foil and pink construction paper. For extra snuggles or extra TV time, put together these free printable coupon books for kids. 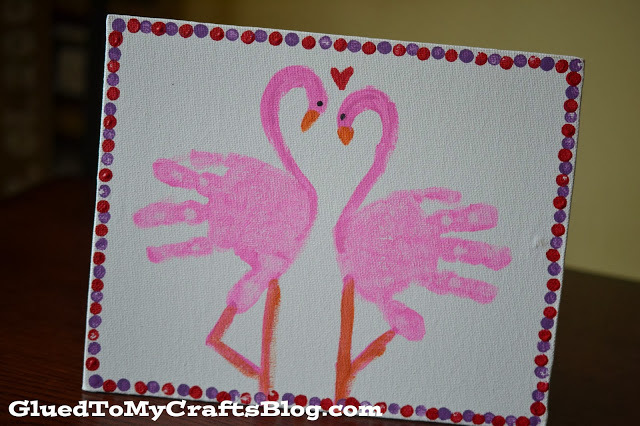 For tiny hards, create a canvas print or card out of this handprint flamingo.